Earlier this year, Brendan Shanahan suggested that the Toronto Maple Leafs lacked a team identity. It seems that Dave Nonis has responded by changing the team's nationality all together. The biggest news coming out of the Leafs' 2014 prospect camp is the number of Swedish skaters in attendance. William Nylander, Viktor Loov, Tom Nilsson, Andreas Johnson, and Pierre Engvall represent the 5 Swedes at the camp. Combined, Sweden is contributing roughly 1/6 of the young talent gathered for seminars, drills, and scrimmages at the Mastercard Centre in Toronto this week. The MSM have commented extensively on Sweden's strong showing in Toronto. The topic has become part of Paul Hendrick's interviews with prospect attendees, and Ryan Kennedy of The Hockey News has even suggested that the team has newly developed "an infatuation with Swedes." 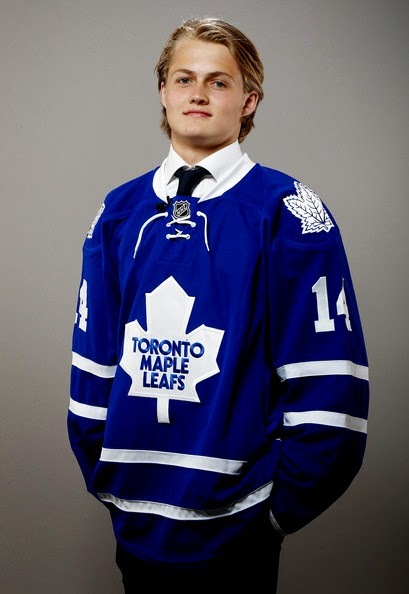 And is there any wonder given Nylander's "come forecheck" stare? Meanwhile, fervent Ontario patriot and anti-European partisan Don Cherry is probably already writing the epitaph for the blue-and-white following this Swedish invasion. I, for one, think that we should welcome our new Nordic overlords. 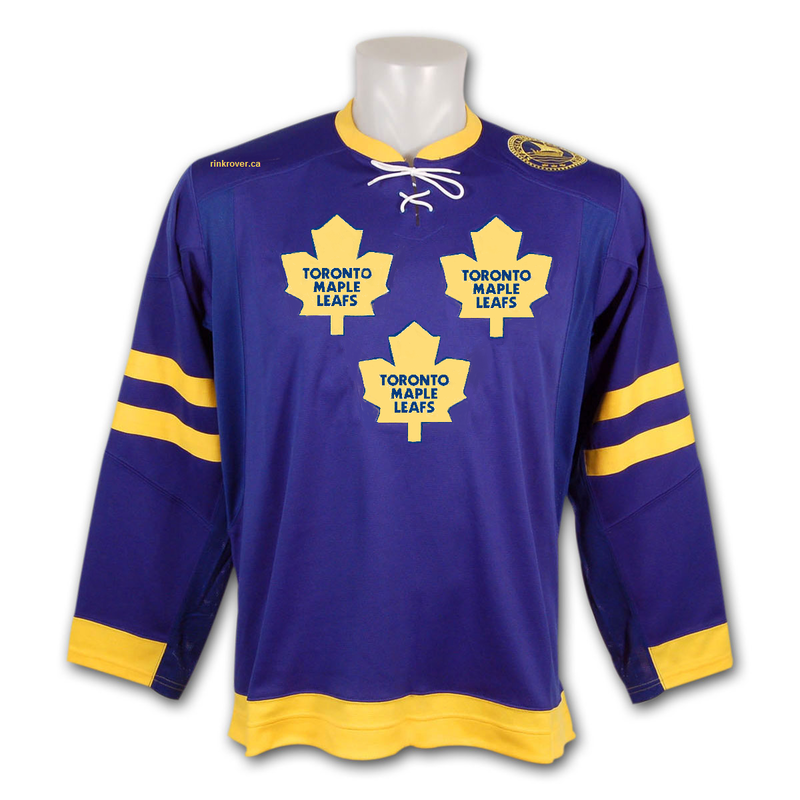 And so I've put together some jersey prototypes that embrace the Leafs' new Scandinavian identity. Here's the new home jersey. Here's the new away jersey. 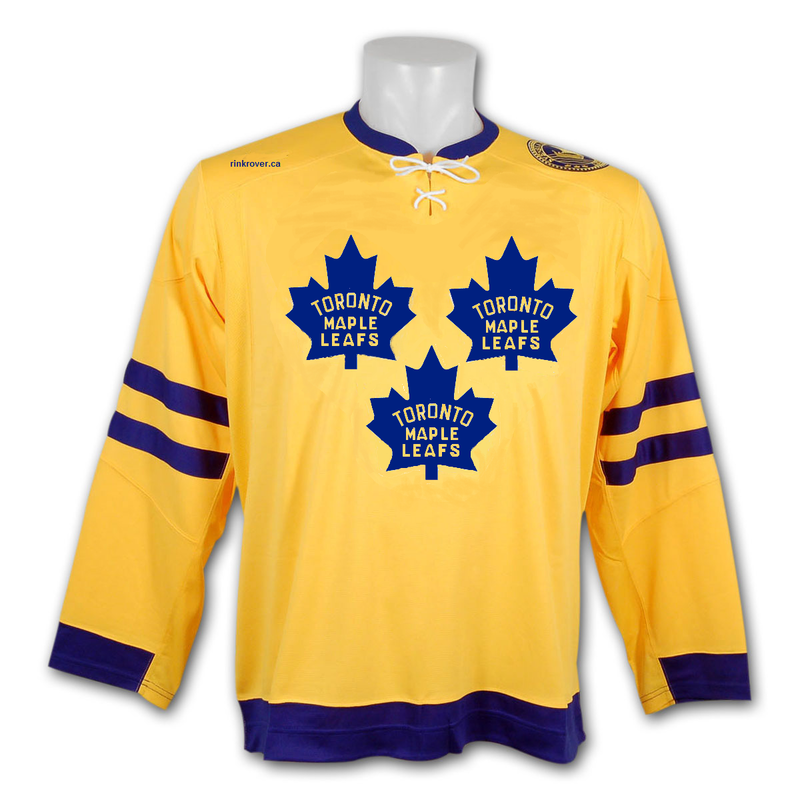 And, in case you're not familiar with Sweden's iconic "Tre Kronor" jerseys, here are the models for prototype 1 and 2. What do you think of the Scandinavian conquest of Toronto?